Custom Ruddy for ADMSXT/Paper Toyz. Hope you like it! New paper toy, and a competition! 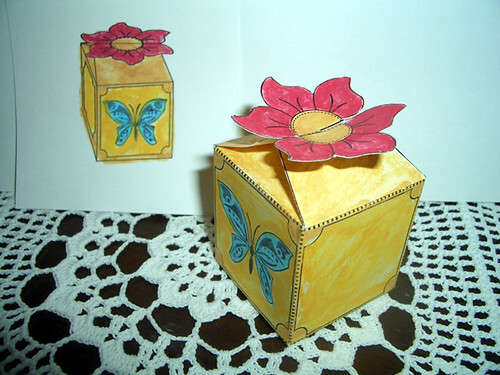 My new paper toy is online: Little Box. Visit my homepage for more details. Here 2 more designs I did for my JustMan. They are 'Split' and 'Mario'. boxpunx series 6 ~ coming soon! Cass & Ipody son dos Amigos Musicales que vienen para demostrar que lo clásico y lo tecnológico pueden ser muy buenos partners. "Garry" by Tougui now available! “Garry” by Tougui is now available on Cubeecraft - Grab him in the Originals section! 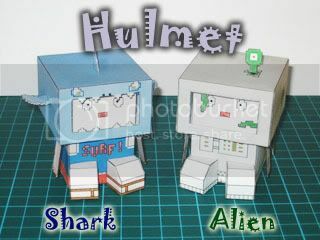 A new Papertoy project to promote creativity and originality in papertoy design. Great papertoys from Tetsuya Watabe, Ben the Illustrator, McKibillo, Ryuk Yu, Sjors and Shin. One Piece, 3 out of 9. Ok, so here is the straw hat trio that has been completely done. not included in the picture is the climatact, Zoro's swords, and Luffy's straw hats because of the reason that I'm being super duper ultra lazy and let them just be a surprise. I've also done Sanji & Usopp but they still need some retouching. I've been wanting to paper-fied the straw hat pirates crew all this time. I also did Nami too, but eh...suddenly my adobe illustrator went nuts and crashed so I guess I'll continue her sometime later. tomorrow perhaps. Hope I could finish them by the end of my holiday. Ernie from the Black Lagoon is now available! This week's original is by Glen Brogan (Mayor McCheese, Hellboy Cubees). Ernie is from a comic Glen does which you can check out here.